No More Allergens & Irritants! One of the main reasons for reduced air quality at residential homes, be it an apartment in a high-rise building or a Texas ranch-house, is dust piling up within the ductwork, as it spreads all around and prevents fresh air from getting where it's supposed to get. A part of the air duct systems' purpose is to filter the air coming into the house and ventilate the entire house. If the ventilation system is filled with dust or if it's blocked because of debris or dead rodents, the system won't be able to complete its purpose – requiring you to call for residential air duct cleaning services. Here's how this can help. What should you expect when calling for residential air system cleaning? First, the technician will remove the old filters off the ductwork, simply because they need to be replaced with new ones from time to time, to ensure the air duct system can work properly. Now pay attention to the technicians' doings because if they put the new filters right after removing the old ones, it might be that they didn't complete their job. Once the filters are removed, the air system should be cleaned up and checked and examined for holes, damages or blocks. Such damage may affect the intactness of the system and its ability to work properly. Once we've made sure the system has no damage, the technician will clean it, and by using designated equipment and materials, will reach even its farthest, most inaccessible parts, to ensure optimal results. During the process of cleaning the air duct system, it is important to ventilate the entire house, to allow air exchange and to let fresh clean air in. Once the system is clean and the house is aired, the technician will fit the air duct system with new filters, so now the air coming out of it will be healthy and clean. When should you call us at Duct & Attic Cleaning Experts for our services? When you suspect that the air inside the house is not clear, should one or more of the house's occupants is having trouble breathing or you simply feel as though you can't ventilate the house lately. 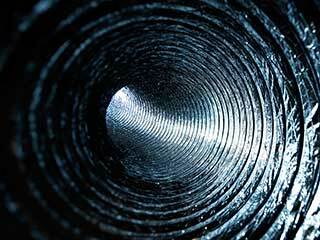 Our team will arrive shortly and check your air duct system to determine whether it has to be cleaned.